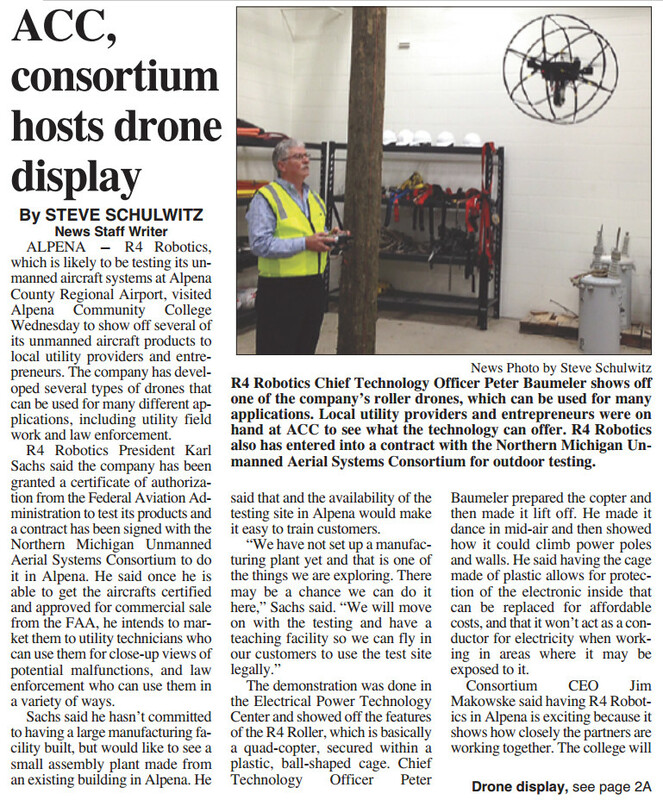 R4 Robotics had the chance to demonstrate our unmanned aerial drones at Alpena Community College. As we have developed a variety of drones, our focus on that day was to demonstrate how R4 drones could be itilized in utility inspection and law enforcement. Rather than the ardous task of stopping at each electrical pole or transmission tower with a bucket truck, linemen or technicians can now fly a drone in very close proximity to electrical poles or towers to inspect condition or damage. With the innovative design of our R4 Roller, this can be done without fear of collision with tree branches, wires, buildings or other obstructions. For law enforcement, we have both large and small R4 Roller models – each of which can be used both indoors or outside, depending on the needed application. These drones are equipped with custom cameras that broadcast in realtime and allow the operator to do aerial recon before placing officers in harms way. Our drones employ a powerful system that penetrates through walls, trees and more – so that the operator may survey the entire interior of a very large building, or even provide aerial assistance when tracking suspects or missing individuals at night (if equipped with optional infrared camera). 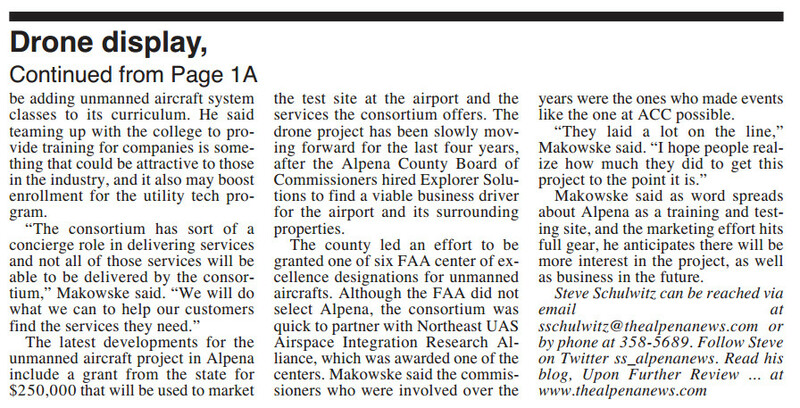 The Alpena News was on site to report on our demonstration, as referenced in the attached images.